Support James Carvin by wearing a top hat! 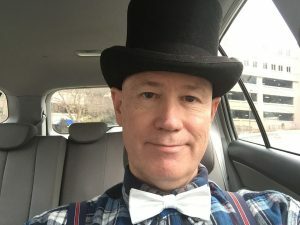 Show your support of James Carvin by wearing a top hat. People will be sure to ask why you are wearing a top hat. When they do, tell them it is because you support James Carvin. “Who is James Carvin?” They will ask … so tell them in your own words and direct them to this web site! Monies derived from the sale of top hats will support James Carvin to build a better America and a better world. Tell your friends about what you’ve learned from this web site and show them where they can find a top hat like yours!